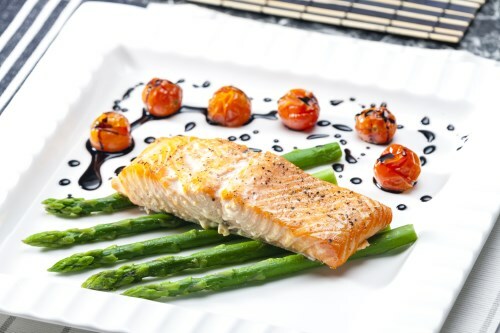 Place salmon fillet on top of one piece of foil. Sprinkle salmon with salt, pepper, garlic and chopped dill. Arrange lemon slices on top of fillet and place a sprig of dill on top of each lemon slice. Sprinkle fillet with chopped scallions. Bake in preheated oven for 20 to 25 minutes, until salmon flakes easily.